Do you want a homepage for yourself, your family or your business? 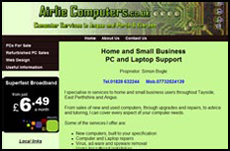 Do you want a multi-page website for promoting your business or other organisation? 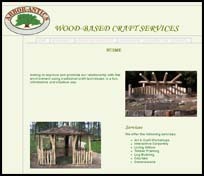 Intercreative can design and implement a website for you. I will tailor the design to suit your requirements. My service is fast and competitively priced. I can also provide web-hosting on fast, modern web servers, and I can also arrange domain name registration. 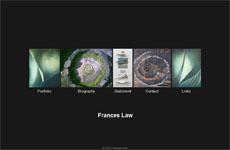 Please scroll down to visit some of the websites I have created. 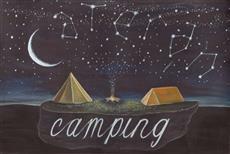 Cateran Camping is a local eco-campsite situated right on the Cateran Trail at Kilry in Glen Isla, about 5 miles north of Alyth. 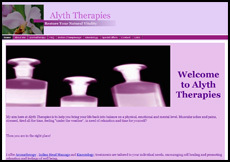 Alyth Therapies - is owned and run by Liz Jenkins. Liz is a complementary therapist with 12 years experience, offering Clinical Aromatherapy and Kinesiology consultations. 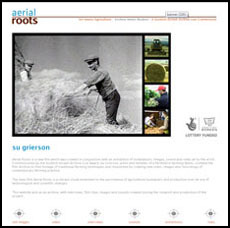 Aerial Roots - commissioned by the Scottish Screen Archive Live Award, Su Grierson, artist and member of a Perthshire farming family, combed the film Archive to find footage of traditional farming techniques and responded by creating new video, images and recordings of contemporary farming practice. Frances Law - Perthshire based artist. Over the past 25 years Frances Law has investigated the intrinsic balance between nature and culture using her own archaeology, memory and intuition at the cornerstone of her inquiry. Since the early 80's to the present her work has undergone a series of transformations each renewal revitalizing her research and yielding up deeply provocative imagery.